After bedding down in the back of an Uber, a London man awoke to quite a surprise. Shortly after entering the car, Aaron Wray fell asleep. His trip was a short one, or at least it was supposed to be. All told, the jaunt from Brixton to Croyton (both in London) was about a 30-minute affair. Not this time. 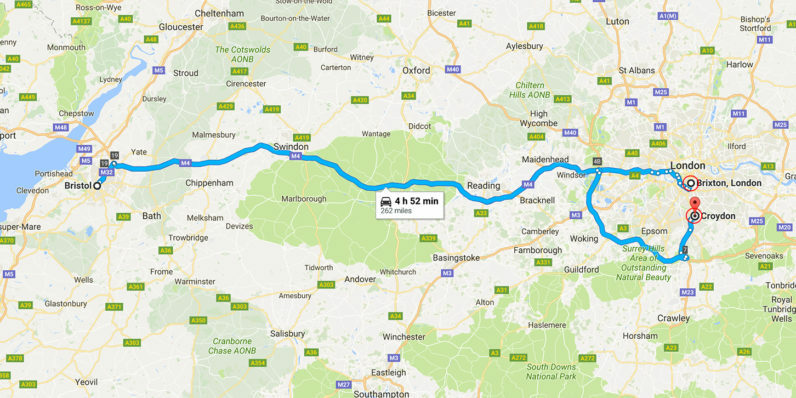 We’ve tried to contact the rider, but our systems show they set an address in Bristol as their destination. When they arrived and it became clear this was an error, the driver returned to London to drop them off in Croydon. This was clearly an unfortunate mistake so as a gesture of goodwill we would like to offer the rider a refund. Wray denies the accusation and insists the mistake was Uber’s.